Spacious ocean view accommodation central Airlie Beach, Whitsundays. Located just 200 metres to the main street and foreshore, with close proximity to cafes, shops, restaurants and cruise boat terminal! With great views, facilities, pools and accommodation, everyone is choosing Toscana Resort for their Airlie Beach stay. From Families, groups of friends and couples, this perfectly positioned Toscana has views for days; not to mention top resort facilties. 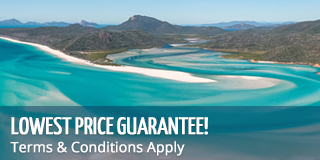 Thank you for booking with Mr Travel/ Sailing Whitsundays. if you need any advice or assistance making arrangements for your accommodation or transfers please do not hesitate to ask.